How does LG's 2012 Nano tech shape up? Anybody still of the opinion that LG merely slavishly follows its lauded Korean rival Samsung is very much mistaken. For as well as going completely its own way with 3D, by introducing the passive 3D format, LG is also looking set to beat Samsung to the big-screen OLED TV punch. More pertinently for this review, unlike Samsung, LG includes at the top of its TV range models that use direct rather than edge LED lighting in a bid to deliver truly premium performance. The 47LM960V being tested here is the first of LG's 2012 'Nano' direct LED sets. And as with last year's Nano debutantes, it's a heck of a looker, getting closer than any TV before to being truly 'borderless'. Not that the 47LM960V just relies on its direct LED lighting and sensational design for its appeal, though. 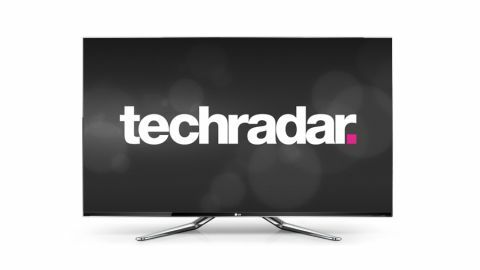 A huge feature list kicks off with passive 3D support, complete with 7 pairs of glasses - which is, of course, a robust two-fingered salute at the growing trend for active 3D TVs not to supply any free 3D glasses at all. The 47LM960V is also extremely multimedia savvy, handling an expansive range of multimedia file formats from USB devices or a connected computer. What's more, unusually for the TV world, this computer can just as easily be an Apple Mac as a PC. LG's new Nano baby also lets you connect - wirelessly if you wish - to LG's Smart TV platform, which this year has benefited from a substantial rise in content, big improvements in stability, and a slinky new interface. Joining the 47-inch model in the LM960V range is the 55-inch 55LM960V, while if you can't quite run to the LM960Vs, one step down LG's range brings you to the LM860Vs, which switch to edge LED lighting and use LG's MCI 800 motion system rather than the new MCI 1000 system sported by the 47LM960V. If you're not hung up on the LG brand, meanwhile, then equivalent TVs out there right now would be Samsung's ES8000 range and Samsung's WT50 series. But right now it's LG's turn to hopefully shine with the 47LM960V. So lets start finding out if it lives up to its promise.